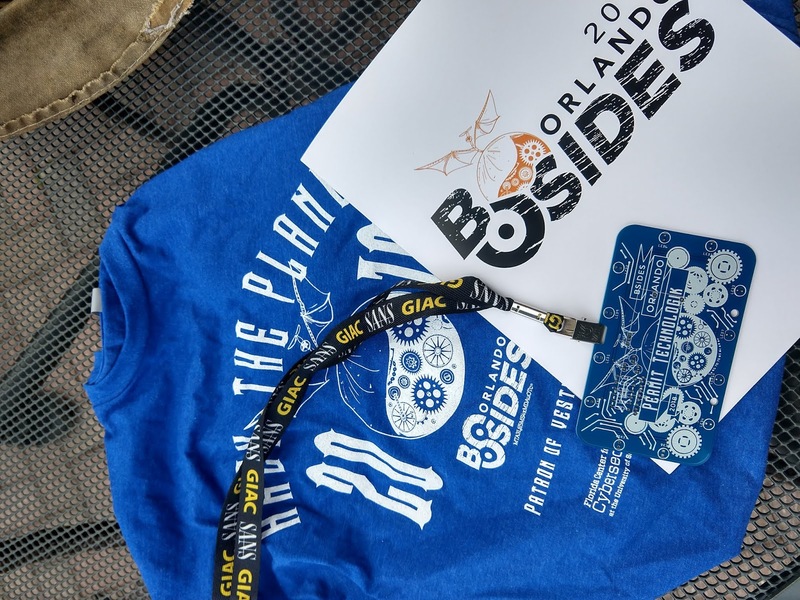 Security BSides Orlando was back in 2018, the 6th year. There were some issues this year. They have been tied, scheduling-wise, to SANS in Orlando, but this year they had a weird schedule of April 3-10, which is Tuesday thru Tuesday, rather Sunday-Saturday like schedule. So they went with April 7, right in the middle. The other issue was location. After several years at University of Central Florida, last year they were at Valencia College. This year they were at Full Sail University's Live Venue location in Winter Park. And, yes, another one day event. The Full Sail location was interesting. They added a lot of other activities to the schedule, which was nice, but I was sadden that this limited the number of actual talks, as this decreased the number of rooms available, so instead of having 4-5 talk tracks, there were only 2. I had submitted several proposals, and none were picked. So this was a personal disappointment for myself. 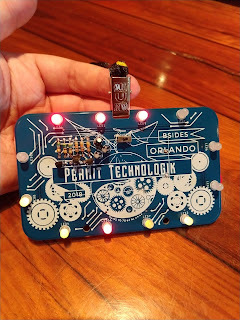 This year they did an electronic badge, which required participants to solder the items on the board. They had a station setup to solder them, with people helping, which was great. Probably needed to have a few more soldering irons, but still nice. The blue badge was for participants, red was staff/volunteers. Then they added a plastic hanger below to indicate speakers, sponsors, etc. 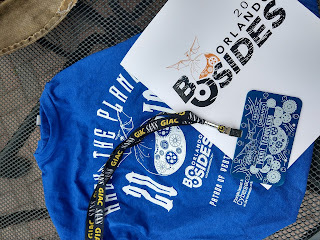 Here is a shot of the t-shirt and program book. Overall a great event this year. I look forward to next year's event. SANS has set the date for SANS Orlando, so hopefully the BSides Orlando folks can set their date for next year's event.